Stories about Labor and Economics. The Catalan Integral Cooperative: The Simpler Way Revolution is Well Underway! This is a remarkable and inspiring movement in Spain, now involving hundreds of people in what I regard as an example of The Simpler Way transition strategy … which is primarily about going underneath the conventional economy to build our own new collective economy to meet community needs, turning our backs on and deliberately undermining and eventually replacing both the capitalist system and control by the state. Read more about The Catalan Integral Cooperative: The Simpler Way Revolution is Well Underway! With the Senate and House all but assured to pass the US$4.5 trillion in tax cuts for businesses, investors, and the wealthiest 1 percent households by the end of this week, phases two and three of the Trump-Republican fiscal strategy have begun quickly to take shape. Phase two is to maneuver the inept Democrats in Congress into passing a temporary budget deficit-debt extension in order to allow the tax cuts to be implemented quickly. That’s already a ‘done deal’. The film was meant to commemorate the 200th anniversary of the passing of the bill that banned the slave trade in the British Empire, an event that constitutes the climactic scene. There are different views on the meaning of the terms economic democracy and economic justice, which aspects of the concepts that should be emphasised, and how they can and should be achieved in a real-world economy. According to one broad definition, economic democracy is about “… the citizens’ ability to influence economic developments in general or the economic decisions of their own workplace”. Some believe that this can and should be achieved within the framework and institutions of capitalism i.e. private ownership and markets, by making employees and sometimes also citizens in general, shareholders of corporations, for example via Employee Stock Ownership Plans (ESOPs) and other similar tools. The term “inclusive capitalism” is sometimes used in this context. Such a version of economic democracy can often be embraced also by politicians on the right of the political spectrum. Published 60 years ago, Frazier’s The Black Bourgeoisie (1957)analyzed the social and political behavior of the African American middle class social strata that aspired to purportedly benevolently rule their own community while pursuing their own personal advancement. Frazier saw the Black bourgeoisie as both an evolving middle class in historical materialist terms – that is, in the context of unfolding economic history creating modes of production and social classes within the Black community before the emergence of the modern Civil Rights movement. Frazier also explored this bourgeoisie as an evolving ruling class of the Black community that was subordinated by racism and fascism but wished to be independent and govern themselves. Over the years we have all heard a great deal about the great social achievements of the Bolivarian Revolution, the government subsidized health program Barrio Adentro, the subsidized food program Mercal, the housing mission which provides free and affordable government organized housing to the poor and middle class, the Canaima program which provides computer to students, Madres del Barrio and now Hogares de la Patria which provide government subsidies to housewives as a recognition of their domestic work, Amor Mayor, the government pension program, among so many other great advances that have moved the country forward in terms of social justice and closing the economic gap. This is the second in a two-part article on the debt burden America’s students face. Read Part 1 here. Money is not wealth, only a measure of wealth. What happens when we take this concept seriously? More than three-quarters of the MPs surveyed incorrectly believed that only the government has the ability to create new money. . . . In a now familiar pattern, leading veterans organizations are up in arms again over the latest revelations about White House plans for the Veterans Health Administration (VHA)—plans that were concocted behind closed doors. Last week, the Associated Press reported that Secretary of Veterans Affairs David Shulkin and other Trump officials have been quietly discussing ways to shift veterans, now eligible for VHA care, into Tricare, the private insurance program for active duty military personnel and their families. The administration’s Tricare discussions have been conducted without input from members of Congress or veterans groups. 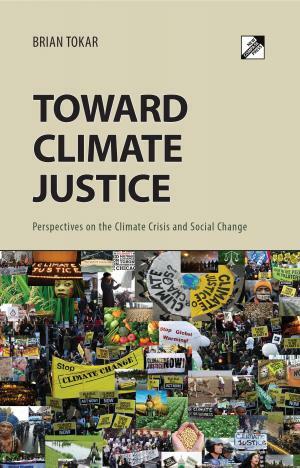 The call for Climate Justice promises a renewed grassroots response to the climate crisis, by Brian Tokar.